TurkmenistanSat, also known as TurkmenÄlem 52E or MonacoSat, is a communications satellite built by Thales Alenia Space and operated by the Turkmenistan Ministry of Communications in association with Space Systems International-Monaco and SES. The satellite is the first telecommunications satellite operated by Turkmenistan and was ordered from Thales in late 2011 after earlier in the year Turkmenistan formed a national space agency that was tasked with the establishment of space-based telecommunications operated from Turkmenistan. 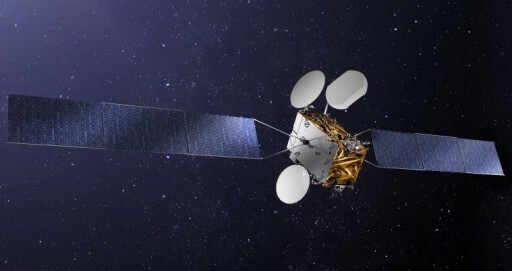 The Ministry of Communications in Turkmenistan signed an agreement with Space Systems International Monaco SAM to station the satellite in Monaco’s orbital slot at 52° east since Turkmenistan did not have an assigned slot in Geostationary Orbit. Per the agreement, SES holds the rights of the MonacoSat payload hosted on the satellite consisting of 12 Ku-Band transponders. The satellite is based on the Spacebus-4000C2 spacecraft platform part of the Spacebus-3000/4000 series that covers a range of satellite masses and payload accommodations. The bus can support up to 16kW of payload power and uses a new avionics system with a 100-Volt power bus. Spacebus dates back to 1985 when the first Aérospatiale-built Spacebus satellite, flying under the Spacebus 100 designation was launched. Over the years, the capabilities of the satellites were expanded owed to more and more powerful launch vehicles becoming available, allowing transponders and equipment to be added to the satellites. Going through constant stages of modernization, Spacebus evolved into its 3000 and later the 4000 series which feature the same basic structure but different avionics systems. 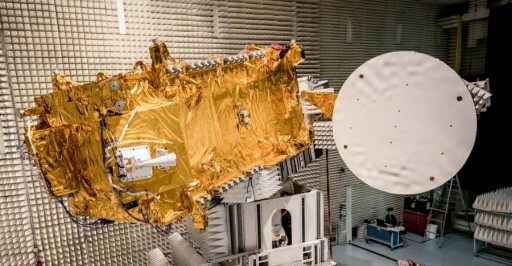 Thales provides an ITAR-free version of its satellite buses to allow spacecraft to launch on non-U.S. launch vehicles like the Chinese Long March rocket. Originally, TurkmenÄlem was planned to launch atop a Long March 3B, but due to changes made to ITAR restrictions, some U.S.-built parts could no longer be exported to China, requiring the switch to an American launch vehicle. Spacebus 4000 uses a modular approach, with separate construction of the satellite platform and payloads for integration late in the manufacturing process. The base of the C2 measures 2.2 by 2.0 meters with the satellite standing 4.5 meters tall. The satellite platform consists of carbon fiber with a composite honeycomb structure making up a central thrust structure facilitating the propellant tanks and a series of internal and external panels facilitating the various systems such as payloads, avionics modules and radiators. The 4000 series features upgraded avionics, transitioning from a 50-Volt power bus to a system running at 100 Volts. Also, a new integrated onboard computer with a higher flexibility than previous versions was added and the satellite bus employs star trackers specifically designed for use in Geostationary Orbit to provide excellent pointing data for attitude control. A chemical propulsion system is used for apogee-raising and stationkeeping in Geostationary Orbit for a minimum service life of 16 years. The satellite uses an S400 main propulsion system and S10 attitude control thrusters, each delivering 10N of thrust. The S400 series built by EADS Astrium are bi-propellant engines using Monomethylhydrazine and Mixed Oxides of Nitrogen as propellants. Depending on the version used, S400 provides 420 to 425 Newtons of Thrust with a specific impulse of 318-321 seconds. 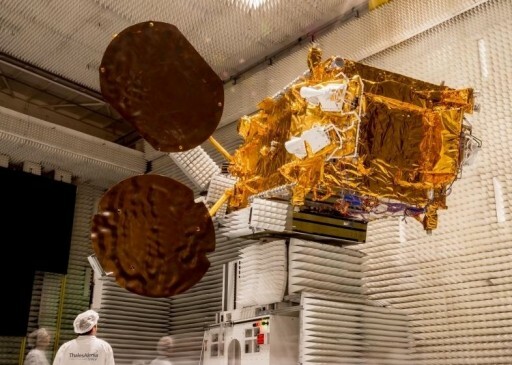 TurkmenÄlem 52E has a launch mass of around 4,730 Kilograms with a payload power of 10 Kilowatts fed to an all Ku-Band communications payload of 38 active transponders – 26 of which are owned by Turkmenistan and 12 leased to SES for the duration of the satellite’s life. 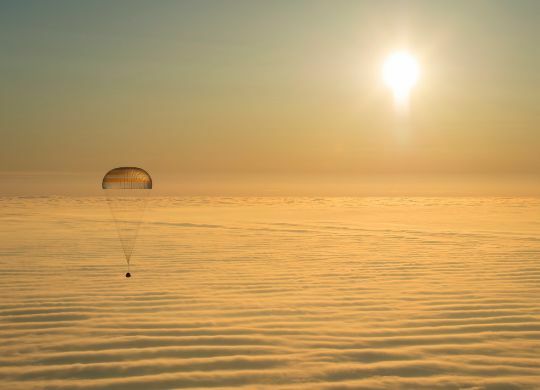 The TurkmenÄlem payload will provide a variety of telecommunication services to Central Asia while the SES-operated transponders deliver coverage to the Middle East and North Africa.